"Over the years we religiously kept files and records, however, finding particular documents was sometimes a nightmare. Parts of our file system were terribly disorganized. 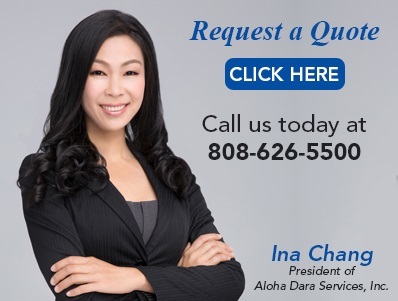 Aloha Data Service was able to scan all of our documents with a retrieval system. Now we can pull up matching documents by name, date, subject, etc. It has never been easier to find what we were looking for and we now realize the expense and manpower wasted using the old paper system. Having Aloha Data convert our files to an electronic format was one of the wisest investments we have made in a while?" Do you wish us to scan in color or gray scale?